One of my favorite sci-fi series is Wesley Chu's Tao books so I'm freaking stoked that we're getting more books set in that universe! 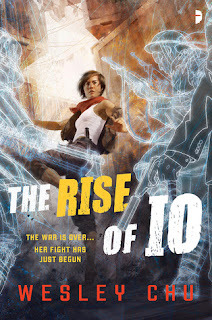 The Rise of Io takes place after the events of The Rebirths of Tao and I'm so excited to read it! Ella sounds like a total badass and I can't wait to meet here! New heroine! New Quasing! It just sounds epic. All of the early buzz around this book has been excellent so far! October needs to get her more quickly. 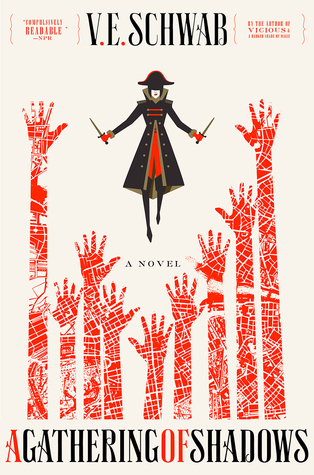 Also, can we take a moment to appreciate how awesome this cover is? Bravo, Angry Robot art department! Bravo! Ella Patel – thief, con-artist and smuggler – is in the wrong place at the wrong time. One night, on the border of a demilitarized zone run by the body-swapping alien invaders, she happens upon a man and woman being chased by a group of assailants. The man freezes, leaving the woman to fight off five attackers at once, before succumbing. As she dies, to both Ella and the man’s surprise, the sparkling light that rises from the woman enters Ella, instead of the man. She soon realizes she’s been inhabited by Io, a low-ranking Quasing who was involved in some of the worst decisions in history. Now Ella must now help the alien presence to complete her mission and investigate a rash of murders in the border states that maintain the frail peace. With the Prophus assigned to help her seemingly wanting to stab her in the back, and the enemy Genjix hunting her, Ella must also deal with Io’s annoying inferiority complex. To top it all off, Ella thinks the damn alien voice in her head is trying to get her killed. And if you can’t trust the voices in your head, who can you trust?